• a space explorer, someone who works and travels in space. In Russia. • a space explorer, someone who works and travels in space. In America. 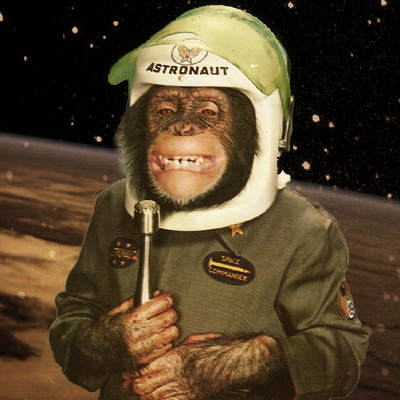 An Astronaut is just like a Cosmonaut: identical, but superior in every way. In April 2011, the 50th anniversary of Cosmonaut Yuri Gagarin’s 1961 flight into space was celebrated with this special rendition of the Soviet National Anthem. The space race was finally won by the US when musician Louis Armstrong walked on the moon in 1969. Gagarin was the first human in space, but not the first animal. Laika, a dog, flew on the Russian shuttle Sputnik2 four years before Yuri. She died in space. Ivan the Terrible — By all accounts, a great guy. Peter the Great — By all accounts, a terrible guy. Catherine the Great — Empress of Russia. The French accused her of sleeping with horses. Ivan Drago — Famous Soviet boxer, almost defeated Rocky Balboa in Rocky IV.